This book offers an introduction to solar cells and energy materials includingnew materials based on organics, nanostructures and novel inorganics and developments in more traditional photovoltaic materials. Solar Cells and Energy Materials takes an in-depth look at the basics behind energy, solar energy as well as future and alternative energy materials. 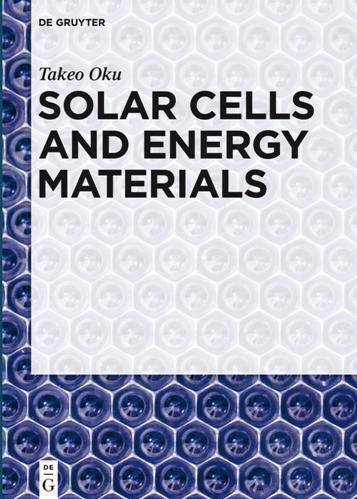 The author presents insights into the current state-of-the-art of solar cells, including their basic science, inorganic, organic and Perovskite-type cells. The author also gives an outlook into next generation energy materials and sources. The focus of this book is not only the presentation of available and developing energy materials, but their thorough examination and characterization. In addition to solar cell technology and the promising application of nanostructures like quantum dots, the author discusses the science and potential of nuclear fusion materials and other energy materials like hydrogen storage materials, BN nanomaterials, alternative fuel cells and SIC FET.